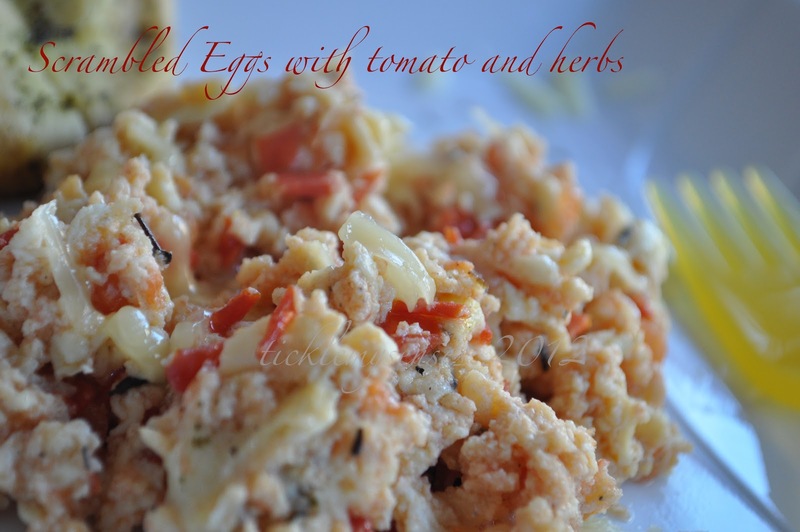 Tickle My Senses: Tomato and Herb Scrambled Eggs. Baby A is now 18 months old. Ive tried feeding him eggs in different forms since he was 9m. This is by far one of Baby A's favourite form of scrambled eggs. I guess he loves the flavour and colour the tomatoes lend to the eggs. I have used a pinch of sweet smoky paprika for spice and dried thyme for flavour. Grated cheddar cheese: 2 tsps. 1. Take egg in a bowl, add 2 pinches of salt, beat well. 2. In a nonstick pan take oil, when hot add finely chopped tomato and a pinch of salt. Fry till tomato turns soft. 3. Add dried thyme and paprika to the fried and softened tomato. Fry for couple of seconds, then add the well beaten eggs. Cook on a low flame till well done. 4. 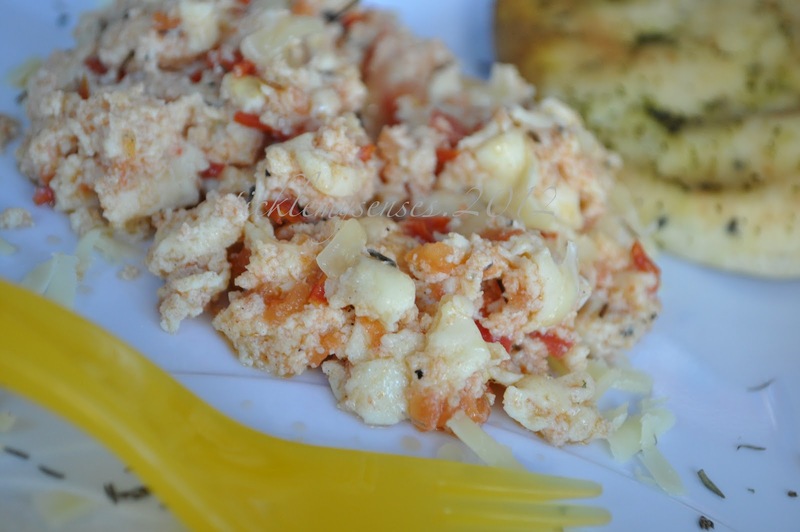 Serve on a plate and sprinkle over grated cheese. 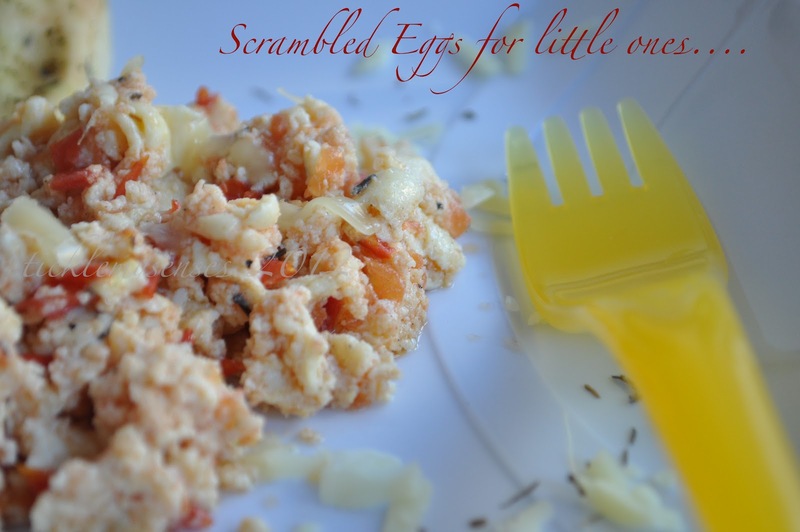 Serve with buttered toast or with mini naans.